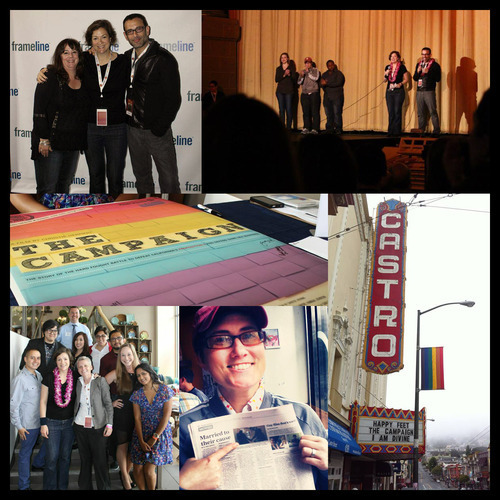 It’s been exactly ONE YEAR since the Supreme Court decisions on Prop 8 and DOMA. We are feeling proud and excited and quite reflective when we think of all that’s happened. 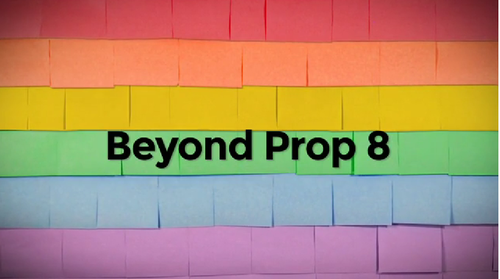 In recognition of this, please watch our retrospective video BEYOND PROP 8, featuring SF City Attorney Dennis Herrera, NCLR Executive Director Kate Kendell, and ACLU Attorney Elizabeth Gill. SPRING 2013: We completed the film, thanks to your support and an incredibly talented team. One of the highlights of the finishing process was the opportunity to work with wildly talented composer Jacob Garchik and to record the film score with the creative force that is the Kronos Quartet and mixed by the wonderful folks at Women’s Audio Mission. It is with great pleasure that we announce our first major wave of national air dates across public television — Sunday, August 25th, 2013 (see all events here) — as well as 3 online community discussions on the same day via #GoogleHangout that give television viewers across the country an unique chance to pose post-film questions to THE CAMPAIGN producers and local partners … see full details below! Contact us to book a screening!